Eric Holder just published an op-ed in the St. Louis Post Dispatch, apparently aiming to generate confidence in DOJ’s investigation into Darren Wilson’s killing of Mike Brown. It starts with 3 sentences describing Brown’s killing — with no mention of Wilson, or even that a cop killed Brown. A disembodied shooting killed Brown in this telling; violence did not. Holder then spends several paragraphs discussing both the investigation itself, as well as the actions of the Civil Rights Division before he turns — in the course of one paragraph — to the protests. Here, violence is described as violence. The implication, of course, is that the violence comes exclusively from that “very small minority,” not the cops shooting rubber bullets from their tanks. I find the next paragraph truly remarkable. 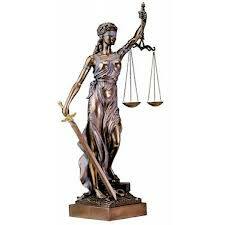 The Justice Department — the Agency Eric Holder leads, the 40 FBI Agents and Civil Rights prosecutors Holder described — has done nothing visible thus far to defend the First Amendment. And then, Holder says, “violence cannot be condoned.” A bizarre passive sentence with no agent. By whom? Who cannot condone violence?!?! And he uses it to urge “the citizens of Ferguson who have been peacefully exercising their First Amendment rights” — many of whom have been arrested, bullied, tear gassed, some of whom have formed chains to protect businesses — to “join with law enforcement,” the same law enforcement that has been bullying them. Holder asks these citizens — who presumably are the ones he says cannot condone violence — to join the cops who have been engaging in violence to condemn others who have also been engaging in violence. Those “others” inflame tensions and sow discord. The cops don’t, according to this telling. It takes a good paragraph and a half before Holder says the cops must restore trust. Only unlike the “citizens” of Ferguson, Holder does not urge the cops directly to do … anything. He just describes what should happen, he doesn’t command it to happen. Note what else happens? That violence — unmentioned in Mike Brown’s actual shooting, but explicitly described when “those others” did it — here becomes “force.” Something distinct from the violence of looters. I get there are legal reasons why he did this — notably, this permits him to endorse findings that Wilson used “force” out of fear for his own safety! But the grammar and vocabulary of this op-ed insists on the state’s monopoly on violence that it has been abusing for 10 days. 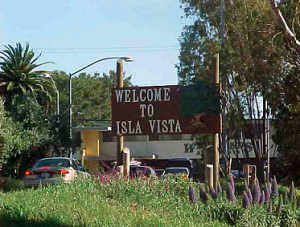 I have not been there in a while, but I have been there quite a bit before, and the Isla Vista/Goleta area surrounding UCSB is everything good and bad that surrounds any major university. It is a melting pot teeming with brilliant young minds, eager to expand and ready to experiment and socialize. It is also cliquish and too easy to separate the in from the out crowd and, sometimes, rich from poor. Above all else, at least from my visits there when I was younger, IV was one wild party that could be anywhere along a couple of key streets, if not indeed out in the streets themselves. It was one hell of a good time. But not this Memorial Day weekend. Something different and jolting happened, leaving seven souls dead, seven more injured and yet another community, and national audience, grieving and reaching for answers. I don’t know what the answers are, and to a great extent, I do not think the pathology of this incident is yet ripe enough to draw them with any real definition. That has not, of course, stopped the light speed social justice court of Twitter and the internet. The reaction on Twitter has run the spectrum from sober to hysterical. If you are on Twitter, you have seen it, if you are not, it is not hard to imagine if you are internet savvy enough to be reading the instant post. Speaking only for myself, however, I have been a little disturbed by the alacrity with which valuable social justice movements, and their participants, have glommed on to a tragic spree crime as the defining vehicle for their arguments, whether it be women’s rights, gun control or otherwise. It strikes me, while certainly all of these things figure into the Rodger situation to some extent, hitching up to a spree murder by a mentally disturbed individual is not exactly a great vehicle for your social justice movement. It is more complex than that, and it is too easy in haste to mistake manifestations for root causes. Post hoc, ergo propter hoc if you will. On Thursday, I wrote about the central role that absolute free market libertarianism, as personified by the fictional John Galt, played in the horrific explosion in West, Texas that took the lives of fourteen people, most of whom were volunteer firefighters fighting a fire at an unregulated fertilizer facility. We have now learned that the facility had a checkered history of ignoring regulations and had 1350 times more ammonium nitrate on hand than the amount that triggers a legal requirement to report the facility to Department of Homeland Security. Of course, the facility’s owner chose to ignore that regulation along with the many other regulations he chose to ignore. Sadly, some press accounts of the owner chose to focus more on his role as a church elder (Update: he was even at Bible study when the fire broke out!) than on how his choice to flout regulations and good sense led directly to this tragedy. Whatever the cause of the original fire that eventually triggered the explosion, the plant owner’s decision to maintain such a large and unreported amount of highly explosive ammonium nitrate so close to so many people played a huge role in how this tragedy played out. Those deaths, and their roots in blatant disregard for government regulation in the belief that it harms business, are sadly just a small part of the larger picture of how free marketeers have corrupted the public marketplace of ideas to sow widespread death and destruction so that the “job creators” can go about their usual business of pocketing massive profits while refusing to make microscopic investments in small steps that would save many lives. Remember the other, larger Massachusetts tragedy that killed at least 50 and injured 722? No? It was discovered last fall that New England Compounding Center in Framingham, Massachusetts had been flaunting the rules on drug manufacturing and in their haste to reap maximum profits shipped out vials of steroids contaminated with fungus. Thousands of patients around the country were injected with contaminated material and deaths and injuries followed. You would think that since this tragedy played out last fall, the government would have realized the error of letting companies call themselves compounders when they are in reality manufacturing drugs on a large scale. Drug manufacturers are subject rigid FDA standards while compounders are regulated as if they are simple neighborhood pharmacies where the druggist might mix single vials of drugs into a form a local doctor has requested for individualized treatment of a patient. But no, because of massive lobbying on the part of compounders, who have become a huge presence because of the vast sums of money they can earn by working the margins of regulation, lawmakers pocket the proceeds of the lobbying and proclaim themselves powerless to harm the job creators as they bring these products to market. It should be viewed as no surprise then, that a different compounder, this time in Florida, now is recalling all of its products because it has been found to have been shipping product that was contaminated with bacteria. It is not yet known if any patients have been harmed by products from this compounder, but at least today’s article on the recall was able to update the death toll from the Massachusetts compounder to 53. The Boston Marathon bombing and the subsequent search for the perpetrators also was touched by John Galt. Technology has existed for nearly 20 years that can make individual production lots of explosives traceable. But when it came time to implement the technology, the NRA and other gun enthusiasts managed to limit the inclusion of taggants to plastic explosives and to specifically exempt black powder (otherwise known as gunpowder) from being required to be traceable. The Boston bombs used black powder. If investigators had been able to know within hours of the blast where and when the black powder was purchased, would they have been able to arrest the bombers sooner and without the subsequent death of one police officer and near death of another? The full shutdown of Boston on Friday would not have happened if the brothers had been arrested Wednesday or Thursday through tracing the black powder they purchased. But no, John Galt said that gunpowder manufacturers shouldn’t have to spend the extra pennies to tag production lots and the inclusion of taggants in gunpowder infringes the rights of gun owners in a de facto registration of their ammunition, so society has to suffer the consequences of this freedom. Oh and all that gun freedom. It appears that we have five more gun freedom victims in Seattle today. John Galt is a very busy guy, sowing death and destruction from one side of the country to the other. But since he continues to make good money, we have to give him his freedom and keep those markets wide open. Praise the lord of the free market and pass the untagged ammunition.